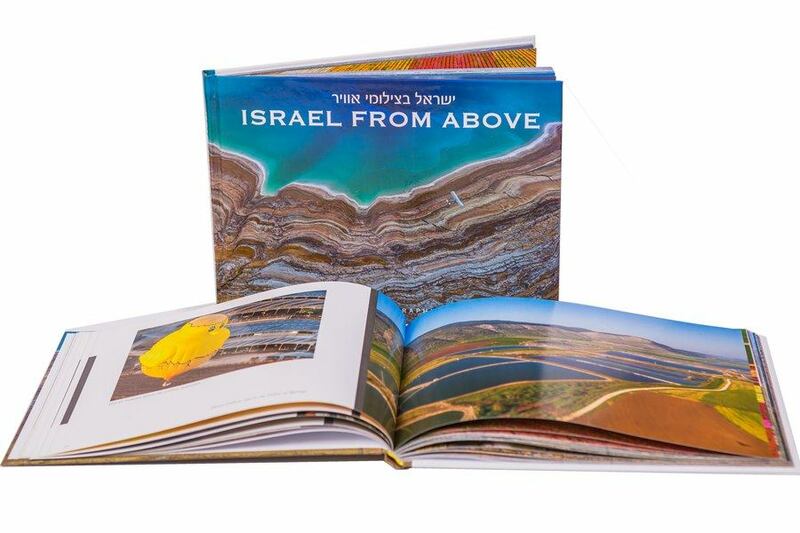 An excellent Israeli gift for your guests and visitors from Israel and from abroad! 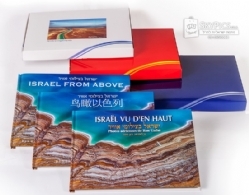 A presentable and dignified gift that leaves a great impression. A gift you can carry in your suitcase, ship for cheap, and carry because it is not too heavy or fragile. 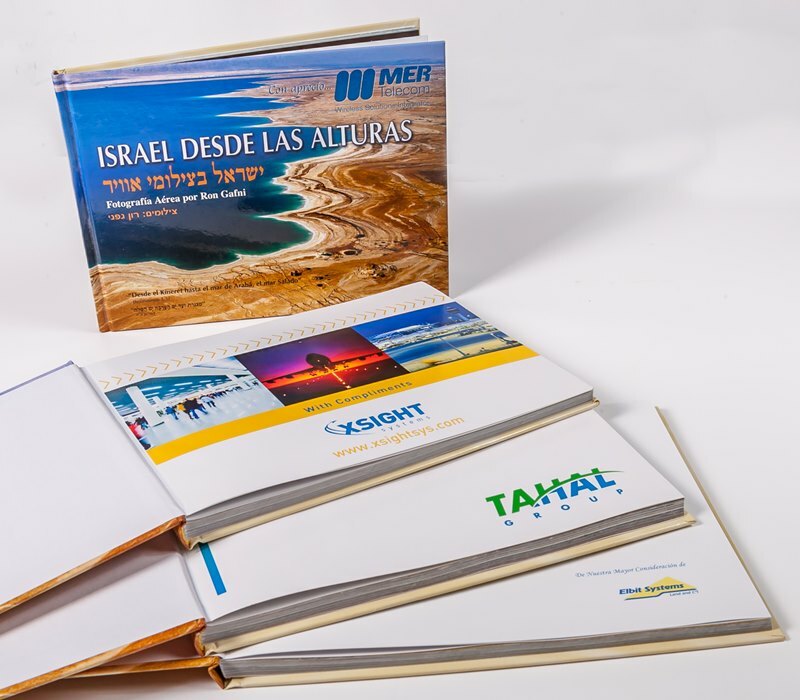 This gift can come in your customer or relative's language to make them understand how valuable they are to you. 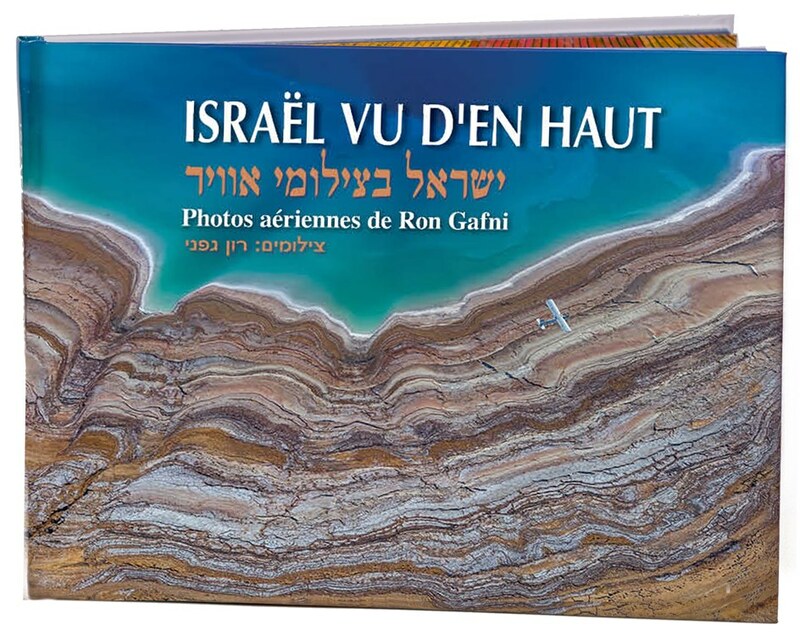 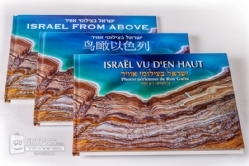 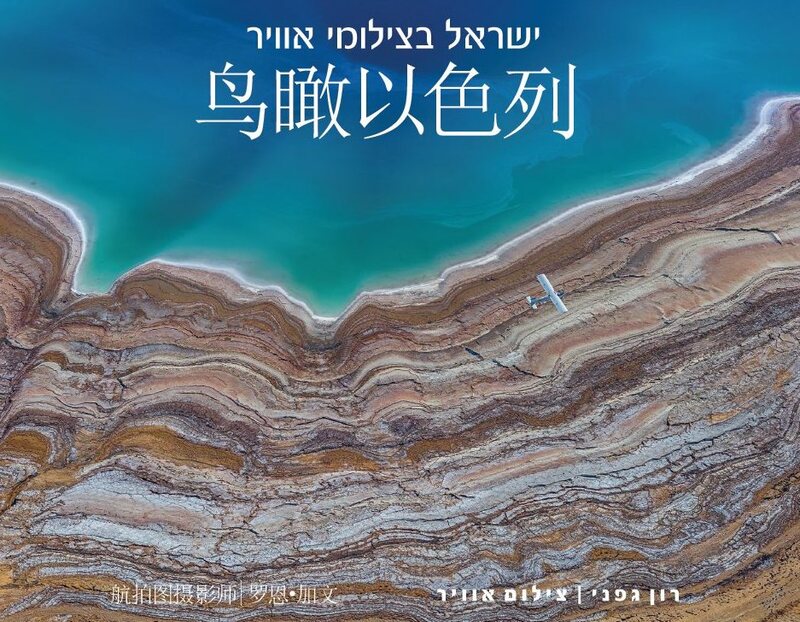 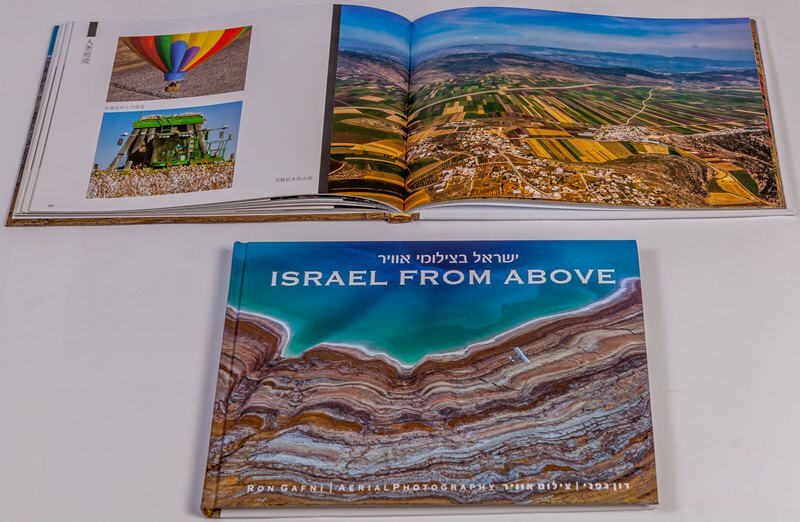 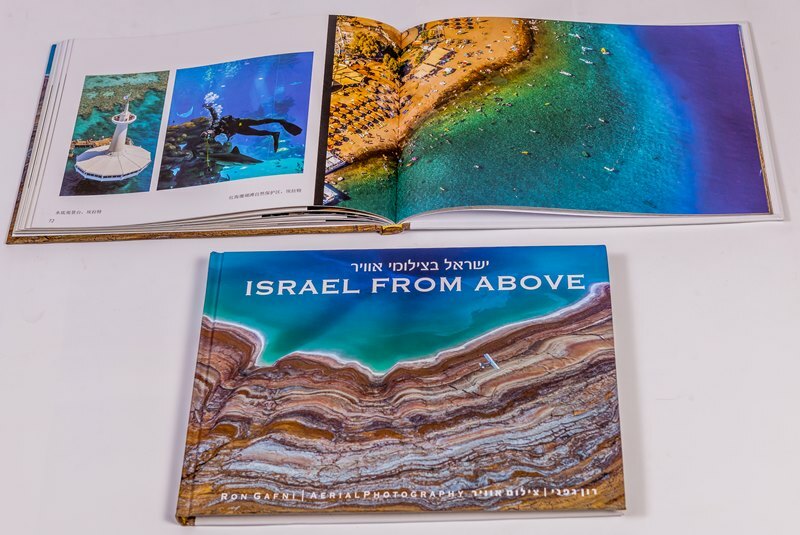 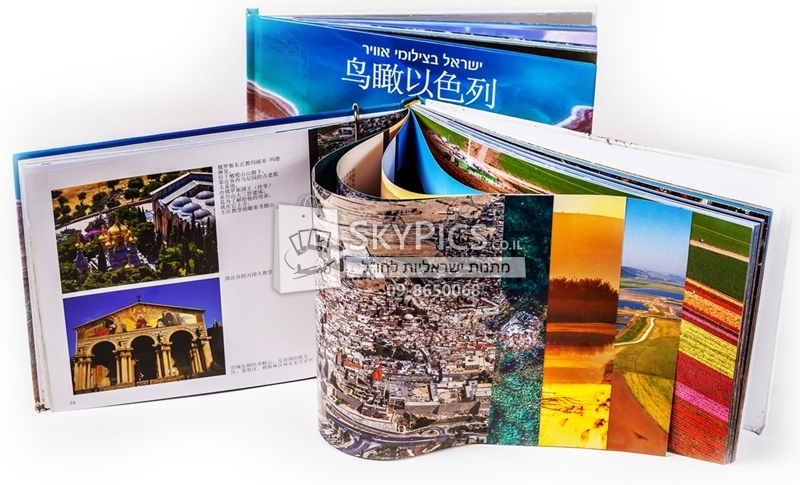 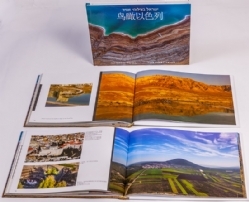 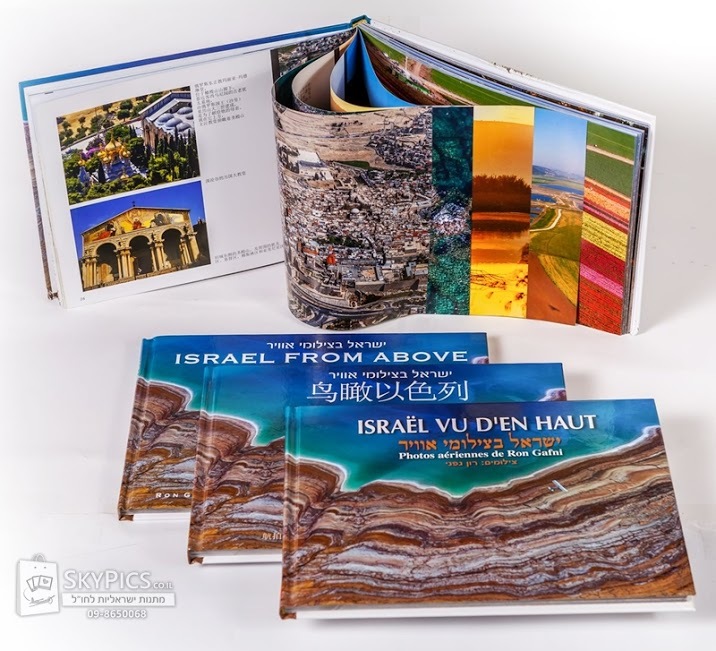 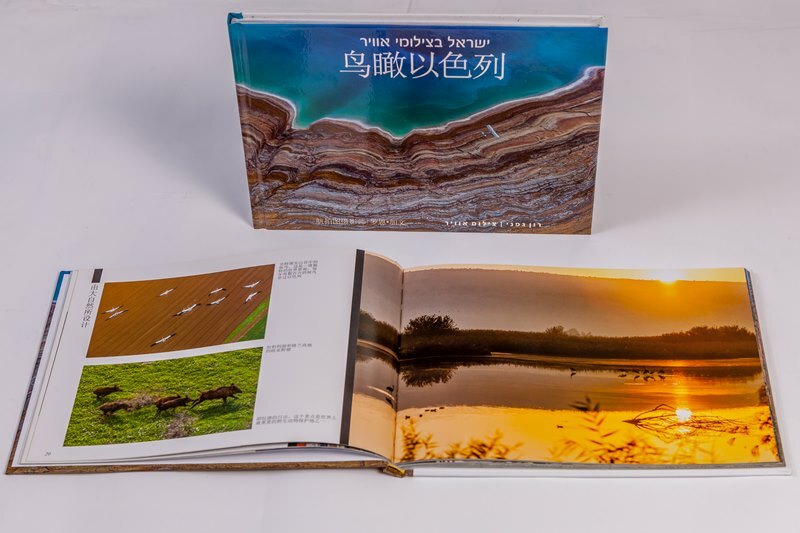 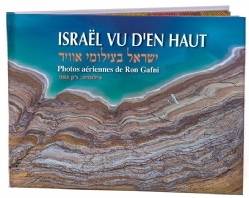 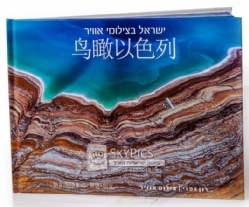 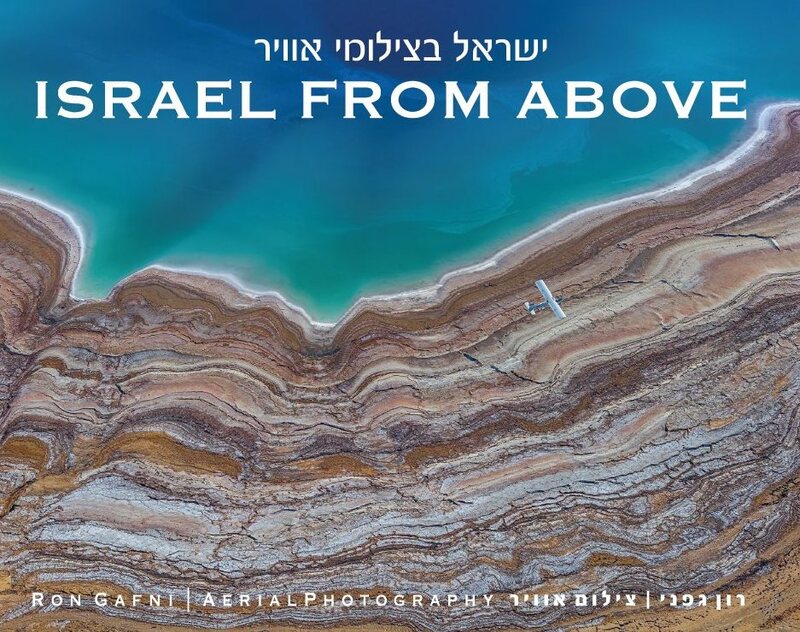 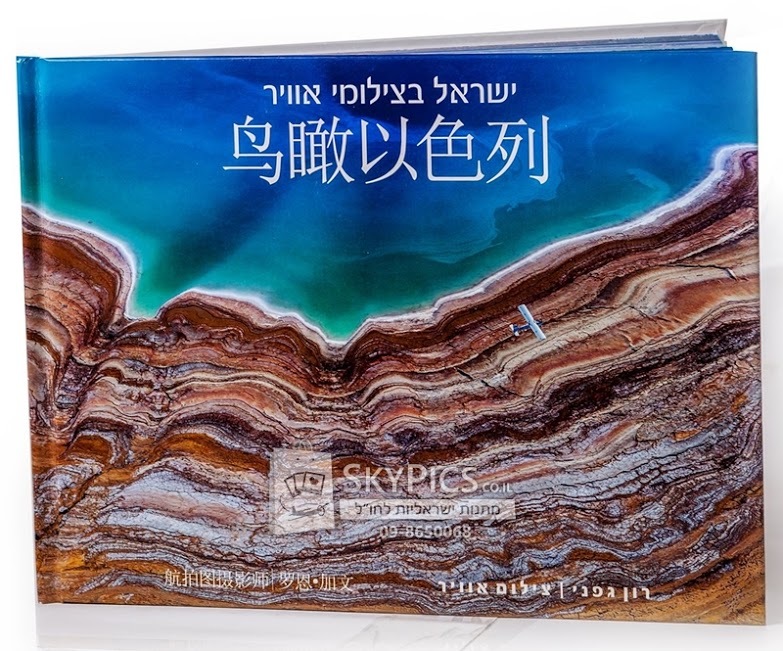 This Israel’s aerial photography book presents Israel to people that are not familiar with the country and its special views and landscapes. 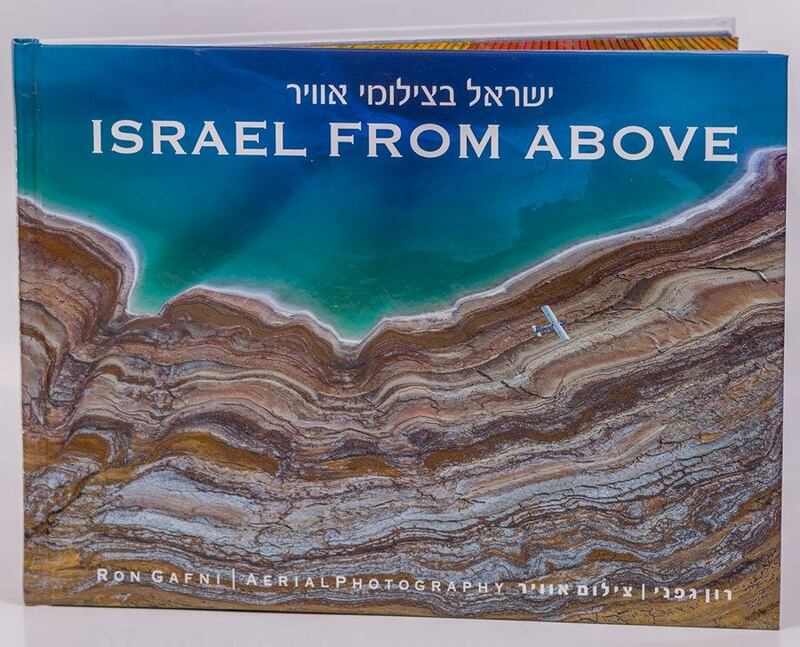 It showcases beautiful, new, and surprising angles of Israel. The book is compact in size and easy to ship in the mail or to slip into your carryon suitcase. 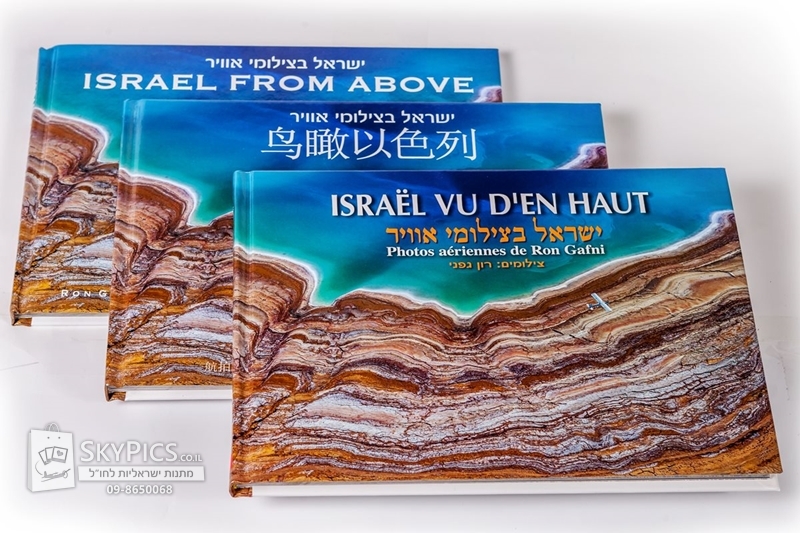 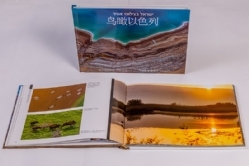 The book is in printed in 5 languages: English, Chinese, Spanish, French and Russian. 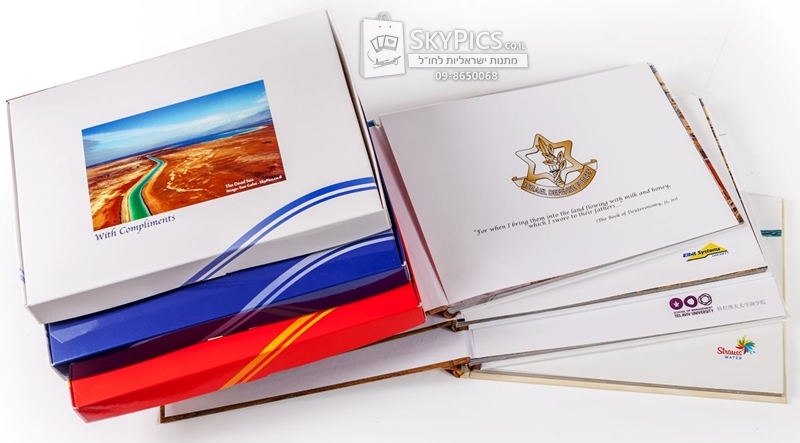 You can add a company logo and greeting on the front page and make this Israeli gift more personalized and memorable. 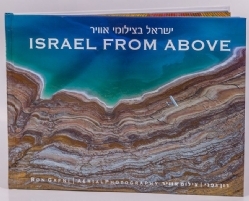 This Israeli gift is unique, original, and valuable. The book can come in a personal gift wrap, or it can be boxed in silk paper. Combine this book with exquisite Israeli gift boxes which contain Israeli-made products such as dates, olive oil, chocolate, honey, wine, and liquor or with hand crafted tiles depicting Israeli motifs. 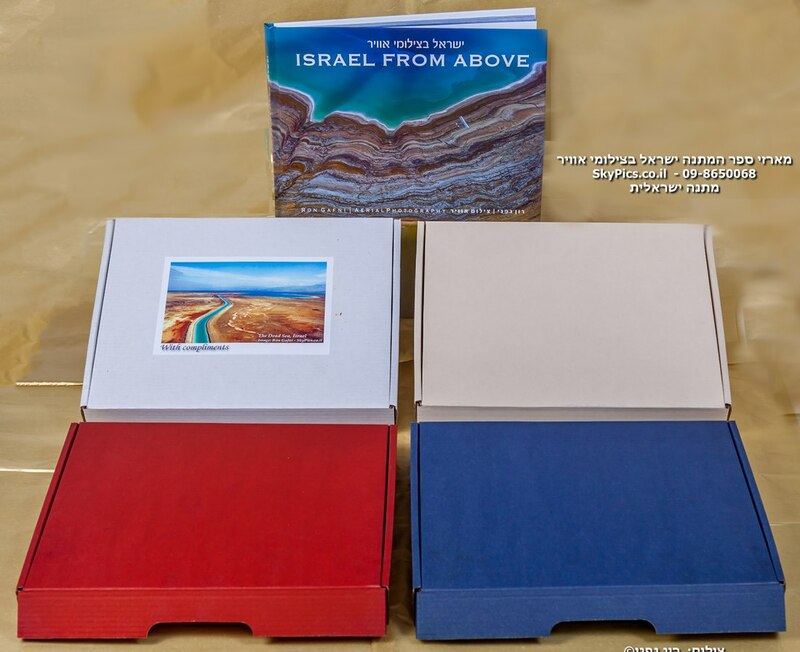 We would be delighted to assist you with matching just the right products for your customers in a way that matches your requirements and your budget!